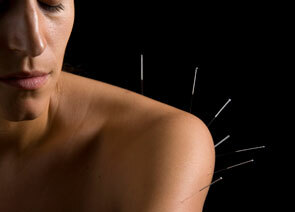 A typical acupuncture treatment begins with a Health History Survey. This allows the Acupuncturist to assess your current and past conditions and how they relate to your body’s present situation. The Acupuncturist will also assess your health by using pulse and tongue diagnostic techniques as well as overall examination of body positioning/posture and personality traits. These techniques allow the Acupuncturist to make an accurate diagnosis of your condition and formulate an effective treatment protocol. Once the treatment protocol has been created, your acupuncture treatment will ensue on a treatment table in a comfortable, relaxed position. The acupuncture points that the Acupuncturist is going to use during your treatment are cleaned using alcohol prior to the needle insertion. Everyone feels the affects of the needles differently when they are inserted. Some feelings include pulsation, pressure, ache, warmth, or cold sensations at the actual point location with some people sensing energy moving between points or areas of the body. The points used are chosen for their specific function in the body. 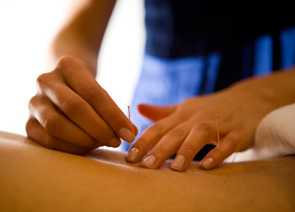 Other techniques used are cupping, electro-acupuncture, gua sha, Chinese Tui Na Massage, and moxibustion. These techniques are used depending on your condition. The needles stay in place approximately 20-30 minutes prior to being removed. After the treatment, the needles are removed and the treatment is finished unless the Acupuncturist needs to present diet therapy exclusive for your condition or utilize energy work such as Qi Gong. Qi Gong is an effective addition to the treatment which adds or moves energy in the body to decrease pain or increase range of motion in joints. You should not perform any strenuous activity following your appointment so that the acupuncture treatment can continue working on your condition. You will feel very relaxed after the treatment and should try to maintain this feeling for the rest of the day. Depending on the duration of your illness and how your body reacts to the treatments, the Acupuncturist will determine an estimated number and frequency of treatments needed to clear the condition.